It’s Halloween, Liberals; Do You Know Where Your Global Warming Baby Is? “Snowfalls Are Now Just a Thing of the Past,” the headline said. However, the warming is so far manifesting itself more in winters which are less cold than in much hotter summers. According to Dr David Viner, a senior research scientist at the climatic research unit (CRU) of the University of East Anglia,within a few years winter snowfall will become“a very rare and exciting event”. Well, somehow the “global warming” message that was utterly refuted by reality was morphed by the true believers into “climate change” – whatever the hell that means. But “the scientists” and “the computer models” all said that it was going to get hotter and hotter, and that “Children just aren’t going to know what snow is.” And these morally stupid liberals couldn’t have been more wrong as they perverted science to suit their ideological agenda. It must be global warming climate change. New York City is expecting its earliest snow storm since the Civil War. The North East is bracing for a chilling Halloween weekend as 60 million people are expected to be hit by snowstorms. 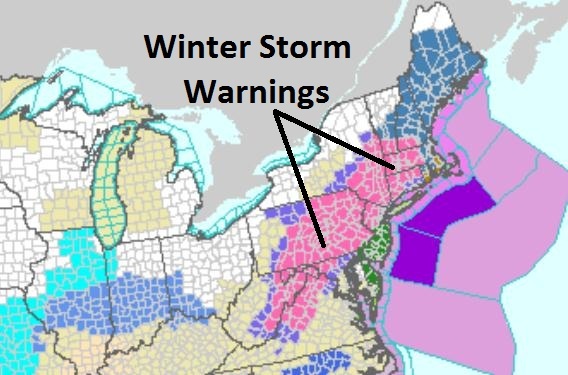 New England has already been struck by a very early snowstorm, while this weekend looks set to see huge amounts of sleet and snow covering the North East, invariably causing power outages and travel chaos. Low pressure will track up the East Coast on Saturday possibly bringing significant amounts of the white stuff across the tri-state area, Pennsylvania and New England. New York has received measurable snow before Halloween only three times since 1869 – and never more than one inch, which is what some experts are predicting. Likely to see the most snow will be the Massachusetts Berkshires, the Litchfield Hills in northwestern Connecticut, southwestern New Hampshire and the southern Green Mountains. In Connecticut, Gov. Dannel P. Malloy warned residents that they could lose power due to the anticipated wet, heavy snow. I have far more intellectual respect for the most severely mentally disabled person than I do for liberal “intellectuals”; because even that serverely disabled person (who also has an excuse for his or her inability to comprehend basic reality) can learn to stack one block on top of another. Liberals are utterly incapable of learning. I mean, this leftwing lunacy keeps boomeranging back over and over again. What does the Bible say about liberals? Yes, it says that “The heart of the wise inclines to the right, but the heart of the fool to the left” as indicated by Ecclesiastes 10:2. But why is that so? Because liberals are “always learning but never able to acknowledge the truth” (2 Timothy 3:7). The truth to a liberal is akin to nuclear physics to a primitive yet-undiscovered aborigine. Because there is absolutely no possibility that they will ever discover it as long as they continue to think and live as they do. Children just won’t know what snow is, liberals said. Because liberals actually are that stupid and that wrong. The number of hurricanes that develop each year has more than doubled over the past century, an increase tied to global warming, according to a study released Sunday. “We’re seeing a quite substantial increase in hurricanes over the last century, very closely related to increases in sea-surface temperatures in the tropical Atlantic Ocean,” says study author Greg Holland of the National Center for Atmospheric Research in Colorado. Working with hurricane researcher Peter Webster of Georgia Institute of Technology, Holland looked at sea records from 1855 to 2005 in a study published in the British journal Philosophical Transactions of the Royal Society A. The researchers found that average hurricane numbers jumped sharply during the 20th century, from 3.5 per year in the first 30 years to 8.4 in the earliest years of the 21st century. Over that time, Atlantic Ocean surface temperatures increased .65 degrees, which experts call a significant increase. Barring a freak storm, on June 10 it will have been 1,000 days since any hurricane struck the US. The longest period since before the Civil War. This “inconvenient truth” was first raised back in October 2010. Now the same global warming alarmist industry that said that the reason it was so cold last year was because it is really so hot are saying that the global warming they said meant more hurricanes now means that there will be less hurricanes. But hey, global warming is just a fact. Every rabid, frothing-at-the-mouth liberal and every mainstream-media-propagandist and every government-payrolled-“scientist” will tell you that. We need to gut our economy and redistribute our wealth and create a Marxist-fascist global tyrant state to solve our global warming agenda. We need to kill our babies so the global warming bogeyman doesn’t kill the earth. 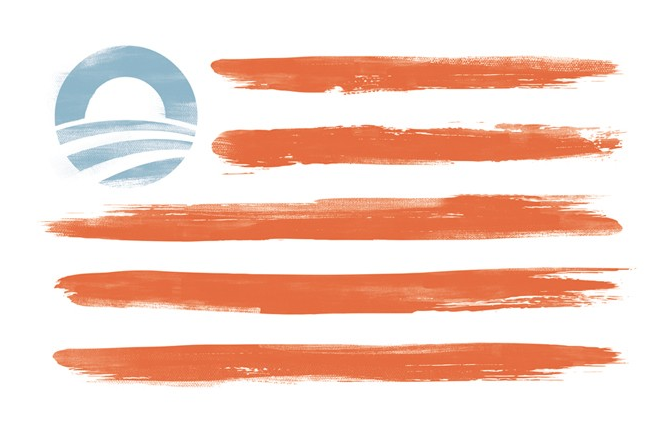 We need four more years of Obama so he can heal the planet and lower the level of the oceans. Global warming and Darwinism have a lot in common. Both have routinely been endlessly adapted to explain everything, and therefore actually can’t legitimately explain anything. Both have been routinely held up as being beyond the need for proof. Both would have been thoroughly disproven if “proof” were ever actually an issue. Adherents of both Darwinism and global warming (and they are to a large extent the same people) have resorted to literally fascist tactics to ridicule, demonize and destroy scientists who have disagreed. Both are no longer scientific theories as much as they are all-encompassing worldivews, if not religions. As such, both are seized upon by the left as a guise toward even worse ideologies as they seek to take over society. The similarities are really quite remarkable. And he might be right. But the paradox here is that the fact that Obama isn’t going is proof that he doesn’t deserve to go in the first place. President Obama’s Memorial Day Weekend plans include skipping Arlington,vacation in Chicago, you know, because he hasn’t been there in a while. The mainstream media sure has a nifty way of spinning the fact that Obama’s skipping Arlington services on Memorial Day in a time of war no less to vacation in Chicago. The Washington Post says Obama’s skipping Arlington on Memorial Day to keep a “campaign promise.” One of his many promises during the campaign of 2008 was that he would visit Chicago every six weeks or so. He hasn’t been there for a stay since February of 2009. Once again Obama’s lack of good decision making shines through. He’s the Commander in Chief whether he or we like it or not. Memorial Day comes but once a year, Arlington is where the President of the United States needs to spend his time. But Obama’s Memorial Day plans, skipping Arlington, vacationing in Chicago. It’s only Memorial Day. The day when we honor those who have given the ultimate sacrifice for our freedoms. It’s only Arlington National Cemetery. Quite possibly the most hallowed and sacred piece of realestate in the country. He’s only the Commander in Chief. The leader of our armed forces who commands their respect. But hey. If you need a break take it when you can get it, right? Obama hasn’t had many opportunities to fly home to Chicago. There was that one time he took Michelle out dancing and to the theater. Oh wait that was New York. Well how about a couple weeks ago when he took the time to spend the weekend there when he should have been attending to the oil spill? Did I miss that one too? You’re right, that was a weekend getaway to a spa in North Carolina. What about his numerous golf outings, or what about the Obama’s vacation last year to the beach? He couldn’t have taken one of those “opportunities?” Nope. Obama’s Memorial day plans, skipping Arlington , vacationing in Chicago. Priorities Mr. President, priorities. Obama basically hasn’t kept any of his other promises. Why is his promise to vacation in Chicago more important than his duty to honor the fallen soldiers in wars past as well as the one he’s sending troops to die in now? The problem is that the Tomb of the Unknown Soldier is in Arlington, not in Chicago. Unless Obama wants to have one made out of Styrofoam like those tacky Grecian columns he once used. And, oh, yeah. That golf thing. After the media criticized George Bush for playing gold while his troops were fighting for their lives, Obama has played golf more in one year than Bush did in eight years. In fact, Obama was playing golf when three of the soldiers under his command were sacrificing their lives on the battlefield. This is a president who has ordered men to their deaths in Afghanistan. The least he can do for those who’ve died under his direction is lay a freaking wreath on a freaking tomb on one special freaking day of the year. You know if it were Teleprompter Day, Obama would be there to lay that damn wreath to honor the only device that keeps him from looking like the complete jabbering fool that he truly is. Barack Obama apparently won’t be there (unless political pressure shames him into canceling his “vacation”), but please help me – even if you’ve disagreed with everything I’ve said about Obama – in doing your darnedest to honor our heroic warriors, be they young or old, living or dead. Update, May 31, 2010. I have been challenged on the claim that Obama is the first president since the Civil War to skip Arlington. I checked into it, and stand corrected. That said, many of those who tell me to check my facts should likewise check their facts. Moreover, President Obama will lay a wreath tomorrow (Memorial Day) at Abraham Lincoln National Cemetery. Well, yeah. But Bush II missed Arlington only one time – when he honored the veterans who had fallen on the beaches of Normandy in France. That’s a pretty good reason to “miss.” Much better than Obama’s promise to vacation in Chicago more. With the “blame Bush” climate, this is one thing you can’t “blame Bush” for. George H.W. Bush missed ceremonies at Arlington, but he was a decorated combat veteran of World War II. Barack Obama, by contrast, is not a veteran, did not serve in combat, and has not been decorated for anything. When Barack Obama is decorated for heroism in combat, like Bush I was when he received the Distinguished Flying Cross, he can skip Arlington, which honors such heroes. Until then, an excuse that cites George H.W. Bush falls apart rather pathetically. One of the occasions Regan missed as President occurred while he was recovering from wounds incurred after having nearly been assassinated. You might cut him some slack for that one. He also attended a summit meeting, and was out of the country dealing with the Soviet Union, during wreath-laying ceremonies. In 1987, Reagan was in Camp David – working on a nuclear arms treaty with the Soviets. Again, hopefully you’ll cut him some slack for working to end nuclear Armageddon. As a further update, Obama did not actually participate in the Memorial Day event in Chicago. It was canceled due to rain. Which means that maybe God Himself doesn’t think Obama deserves to honor our warriors. End update. There are many people who oppose the abortion industry, but they generally can’t do a very good job explaining why. The Republican Party is officially pro-life in its platform, but I’ve never heard a GOP candidate offer a good reason for being pro-life. But there are excellent reasons for being pro-life, and it is way past time that society heard them. If you were busily working on peeling potatoes over the kitchen sink when your oldest child came in and said, “Is it okay if I kill this?” What would you do? Would you say, “Sure! Go ahead! Since I’m not certain of the ontological status of whatever you’re considering killing, I’ll leave the decision up to you!” Or would you turn around and look to make sure your little gremlin wasn’t talking about your youngest child? (Or maybe it wouldn’t matter, because you’d figure your firstborn was exercising that sacrosanct “right to choose“?). The ability to use rhetoric to cast metaphysical doubt on the meaning of “being human” does not mean that ignorance is bliss, and one can abort at will. The fact of the matter is, we haven’t even begun to understand the miraculous – and it truly is miraculous – process of a baby forming in mommy’s womb. The age of viability has decreased dramatically; medical experts have been repeatedly proven dead wrong again and again in determining brain function in comatose patients who later recovered after being declared ‘brain dead’; the Hippocratic Oath recited by doctors for centuries explicitly banned the performing of abortions; and so on, and so on. When in doubt, why not choose life? And then there’s that whole “It’s a woman’s body” line. That one falls rather flat as well. The fact is that that from the moment of fertilization there is a separate, distinct, unique genetic individual in the mother’s womb; every cell in its little body is different from that of its mother. Half of children are male, for goodness sake! We are clearly not talking about a woman’s body; we are talking about her child’s body. Then there’s the notion of a woman’s rights to her own body, which views the baby in her womb as a hostile invader forcing itself upon her. Why should she carry it to term if she doesn’t want to? Well, for one thing, because it’s her child. The so-called “violinist argument” is fatally flawed from the outset by casting a woman’s child in terms of an unwanted intruder whom the woman has no moral obligation to care for. Furthermore, we would never consider that rather despicable line of moral reasoning after a child is born – when it actually requires a far greater sacrifice and burden to care for (ask a new mother whether her child required more chasing around the house before or after birth). We go from the rather passive act of “being pregnant” to the extremely active act of caring for a newborn – and that burden proceeds to continue for years as the child grows up. Leave your five year old at home and go gamble in Las Vegas for a week and see what happens when you come back home if you don’t believe me. See how far that, “But I have a right to my own body” line takes you. It ought to take you all the way to jail for abandoning your child. If this isn’t enough to dispel the “woman’s right to her own body” argument, then let us think about the way they are using the term “rights.” We must realize that in virtually every case one person’s right presupposes someone else’s duty. One person’s right to freedom of speech imposes the duty upon the remainder of society to tolerate what might be offensive to them for the greater good of a free society. In other cases, the duty imposed is far more selective: When liberals describe the duty of the rich to pay their fair share of taxes, they are imposing a duty on a small class of people. The wealthiest 5% of Americans already pay 57% of the taxes, and the wealthiest 10% pay 68% of the tab. The top 1% earn 19% of the income but pay 37% of the taxes; meanwhile the “poorest” 50% of Americans earn 13% of the income but pay only 3% of the taxes. This introduces a legitimate question for some future discussion: just how much more should the wealthy be expected to pay? [Don’t allow the issue of taxation to distract you from my argument: I merely raise taxation as an issue in which certain advocates subjectively claim that a few should have a duty to pay more, while the majority should have a right to pay less]. But in the case of abortion, the right given to the mother presupposes the most extreme duty upon one single individual – her child – the duty to die for the convenience of its mother. On the side of the “right of a woman to choose” are not only women who suddenly find themselves pregnant and their anxious parents, but hedonistic men and women who want to abdicate any responsibility for their “sexual expression,” along with a powerful media culture that aggressively pursues the same end, a powerful abortion industry and its lobby, the stem cell research lobby, unelected judges who impose their will on society, etcetera. Who is on the side of the right of the unborn to live? The Constitution – which guarantees the right to life as preeminent over all others – but other than that, far too few allies. One side has sole access to the megaphone; the other cannot speak. If we were to stop focusing on the Constitutionally-invisible “right to choose” and focus just for a moment on the DUTY OF PARENTS to nurture and care for their children, we would have a very different discussion indeed. I cannot help but remember the slogan of the Ministry of Health vans that Nazi Germany used to haul away retarded children, epileptics, children with malformed ears, chronic bed wetters, and the like to their deaths: Lebensunwertes Leben – “Life Unworthy of Life.” Today I still see cars bearing bumper stickers with the equally oxymoronic – but far more deadly – slogan, “Pro child, Pro choice.” What a shame that so many Americans have so blithely come to champion Nazi morality. Then there’s that, “It’s only a potential human being” pseudo-argument. First of all, I’m not even sure what it means to be “a potential human being” – and neither do those who are reciting it. I do understand what it means to be “a human being with potential.” Let us begin this discussion with the straightforward observation that had your mother decided to have an abortion during her pregnancy with you, that you would not have been born. It would NOT have been some potential you that perished; it would have been you. You would have been one of the nearly 50,000,000 babies in America alone who were killed by abortion. Just as you were once a child, once a toddler, once an infant, you were also once a fetus, once an embryo, once a zygote. Killing you while you in any of those stages would have killed you just as dead. And let us pause for a moment to consider what murder actually does to the victim. The character Clint Eastwood played in Unforgiven put it pretty well: “When you kill a man, you take away everything he has and everything he’s ever going to have.” A human baby will naturally inherit every quality of human life unless someone steps in and unnaturally ends that life. It is simply his or her nature as a human being to do so. You merely have to contemplate your own life to consider what would have been taken away from you had you been among the abortion statistics. This idea of “potential” as some ambiguous term that allows a mother to kill her baby is as ridiculous as it is amoral. If I were to walk up to you in a parking lot as you got out of your car and shoot you to death, what would I be guilty of? I certainly didn’t take away your past, as it has already happened. And if your future – when is clearly merely “potential” – doesn’t count, all I truly deprived you of is the two or three seconds of immediate conscious awareness. And I could have deprived you of at least that much had I merely asked you for the time instead of shooting you! For murder to be a serious crime, “potential” has to be a real, tangible thing that has intrinsic, incommensurable value. To attempt to argue that an unborn baby’s potential is somehow meaningless but a born person’s matters is both a fundamentally irrational and immoral distinction that leads inevitably to a degradation in the value of human life. Tyrants have routinely made the same type of “status of humanity determined by selective criterion” distinction when they said that Jews, or blacks, or any other class of people should not matter. Deep down, I believe that even the Democrats and other abortion advocates realize the immorality of abortion in their choice of language. They demonstrate this by reciting the new mantra, “Abortion should be safe, legal, and rare.” But why on earth should it be rare if it is a fundamental human right? How many other basic rights should be rare? Put “free speech,” “freedom of the press,” “the right to peaceably assemble,” or any other right that liberals hold as sacrosanct into this “____ should be safe, legal, and rare” equation and see how it flies. If abortion is a good thing, why on earth should it be rare? In point of fact, we should be encouraging more of it, not less. During the Lincoln-Douglas presidential debates, when Douglas said that states ought to have a right to choose the institution of slavery, Lincoln famously said, “One cannot say that people have a right to do wrong.” Fortunately the country chose Lincoln’s moral reasoning over Douglas’. The Civil War was subsequently waged by a Confederacy which argued that their own rights were being systematically violated, even as they inhumanly violated the most fundamental rights of the blacks they oppressed. Apart from the fact that the party of Lincoln, the party of abolition, was the Republican Party and the party of Douglas, the party of institutionalized slavery, was the Democratic Party, I cannot help but see the parallels between the Party of Slavery and the Party of Abortion. For one thing, the Party of Abortion uses the identical arguments to justify its abominable institution that the Party of Slavery relied upon. For another, the Party of Abortion is just as insistent upon its “rights” as was the Party of Slavery, even as they systematically violate the rights of the most innocent and most helpless. I begin by pointing out that I am white (well, caucasian, anyway: my skin is actually a fair shade darker than ‘white’). To many, this fact alone disqualifies me from talking about racism. In fact, quite a few would say that my being white is sufficient to condemn me as being responsible for racism. I frankly have little to say to this group, because it is impossible to have rational debate with irrational people. But to those who are susceptible to reason, I would offer that my ancestors on both sides of my family tree fought in the Civil War on the side of ending slavery, and in fact even made the ultimate sacrifice for that cause. Why doesn’t this count? Why doesn’t it count that so many other [white] Americans’ ancestors similarly championed the right side of freedom and equality? As is now well known, Barack Obama’s pastor – the Rev. Jeremiah Wright, Jr. – has been repeatedly quoted as having made despicable statements about “white America,” even going as far as pronouncing America with three Ks in a transparent effort to characterize the United States as the United States of the Klu Klux Klan. Some – such as former Speaker of the House Newt Gingrich – have said that Jeremiah Wright’s statements shouldn’t be characterized as being particularly racist, given that just about any committed member of the left (regardless of skin color) basically agrees with the sentiment that America is a terrible place with a racist and immoral past. That doesn’t excuse Wright, and it certainly shouldn’t make Americans feel any better that an even larger number of Americans than we might think hate and despise their countries’ past. But the central problem with Wright’s view is not racism per se, but rather that if you hate and demonize America’s past, then in what meaningful sense can you say you love America? You’re essentially saying we need to overthrow histoic, traditional America and replace it with something entirely different. But how would that different thing still be America? Wright has gone all the way back to our founding fathers and our most cherished traditions and applied the label “racist” to the whole lot. Remember, Barack and Michelle Obama’s pastor is the one who said, “Racism is how this country was founded and how this country is still run!… [Americans] believe in white supremacy and black inferiority and believe it more than we believe in God.” When Wright gets through cutting away all of what he views as the racist and immoral parts of America, what would be left over? Is it any wonder that a man who so profoundly despised America and everything it has stood for would come to embrace liberation theology, which is Marxist (and fundamentally anti-American) to its very core? The revelation of Wright’s views certainly helps us trace the origin of Michelle Obama’s views that she is proud of her country for the first time in her adult life, and that “America in 2008 is a mean place.” We now can understand that her attitude was substantially influenced by her pastor. Is it beyond the pale of reason that the same ideology that clearly seems to have influenced her thinking similarly might have influenced her husband’s? Barack Obama gave a beautiful speech yesterday, but he didn’t even attempt to answer why he chose to keep going to such a church, under such a pastor, for year after year after year. In flat out disagreement with Jeremiah Wright, I would argue that from its very outset, America was founded by good people with great ideals. And also from its very outset, America has been a country that has had its share of not-so-good people who have frequently undermined and perverted many of those ideals. On the balance, the United States of America has been a beautiful face marred with some blemishes. So called “white America” needs to confront the blemishes; but so called “black America” surely needs to look at the face and begin to appreciate its beauty. And I think – ultimately – that loving one’s country is rather like loving one’s spouse. It is only when you love despite the imperfections and blemishes, love in spite of past hurts and wrongs, that you truly love. It is easier for some to love the United States of America than it is for others; but I think that they who know her flaws and still love her passionately love her more deeply than the those who don’t. But even as “white America” examines America’s blemishes, and asks itself why the nation founded on the Declaration of Independence and the Constitution somehow managed to tolerate slavery for another century, and why the greatest and freest nation in the history of the world has continued to struggle with inequality to this very day, “black America” needs to examine itself as well. If we refuse to look critically into a mirror, it is as impossible to see our own imperfections as it is easy to notice the imperfections of everyone else. Let me now mention some blemishes that “black America” desperately needs to work to resolve. It is fairly well known that black men are incarcerated at a significantly higher rate than whites, Asians, or Hispanics. It is also fairly well known that black apologists commonly cite “racial profiling” as the reason for such high rates of incarceration; it is not that young black men are either so unable to control themselves, or are so morally depraved that they have become predators, it is rather that the police are always looking for them and therefore finding them. It is an almost impossible argument for society to refute, because it amounts to proving a negative (i.e. Prove to us you didn’t do it). But the incarceration rate of black men does not stand by itself. There are a lot of other facts to consider, which, when taken into account, actually do refute the “racial profiling” polemic. Recently, the Center for Disease Control released data pertaining to teenage girls having sexually transmitted diseases. This new study (April 2008) reveals that 50% of black teens have STDs, as opposed to only 20% of whites. Was this the result of some kind of “profiling”? Obviously not. Rather, a significant sample of whites, blacks, bispanics, and asians were tested, and the percentages emerged from the test results. Likewise, a 2005 study also finds that nearly 70% of black births are “out of wedlock,” as opposed to the still tragically high numbers of 25% of white births. Now, it is fair to ask: did black single girls and women become pregnant because they were “profiled”? Again, no. We commonly see the diversity agenda in media and academia emerge in its shameless flogging of racial “disparities” in such areas as education, law enforcement, public health, business ownership and even mortgage interest rates. There’s almost always a clearly-stated assumption of “institutional bias” or racism against blacks. But what we don’t see is the numbers in these categories being balanced with the statistics relating to crime, out of wedlock births, and STDs. But when we look at the entire picture, a very different story emerges than the one we are commonly told. Cited in a posting from Smart Marriages Listserv on May 29, 2001. (source: http://www.divorcereform.org/pov.htm). So what we see is a crystal-clear connection between family status and poverty. The institution of marriage, and the presence of a father in the house, is the ultimate determiner of poverty, not race. And I find it more than passing interesting that “Black children are more than twice as likely to live in poverty than are white children,” given that more than twice as many out of wedlock births occur in the black community than in the white community, and that more than twice as many black teenage girls have STDs than white teenage girls. Do you see how the former would be expected to result from the latter? Every time an individual or a societal or government institution makes mention of facts such as these, they are immediately set upon as racist. I vividly remember Bill Cosby making some of these observations and being labeled an “Uncle Tom.” And I similarly remember hearing Rev. Jeremiah Wright shout out the names of “Clarence, Colin, and Condoleezza!” to defame Supreme Court Justice Clarence Thomas, former Joint Chiefs of Staff Chairman and Secretary of State Colin Powell, and current Secretary of State Condoleezza Rice as white collaborators. I believe that no one has served “black America” more terribly than the perversion of the civil rights movement and the current leadership of that community. The day when a man would be judged not by the color of his skin, but by the content of his character has been replaced with a shrill demand for race quotas. And there has been a refusal to examine the real issues that have had the most severe impact on the black community, and one vicious attack after another on anyone – regardless of skin color – who has attempted to address the issue squarely and legitimately. There can be no improvement when one refuses to look at the actual problem. The ugliest blemish on the beautiful face of America was the institution of slavery. One of the most terrible outcomes that occurred as a result of slavery – at least according to some sociologists and cultural anthropologists – was the conception of something called the “vicious cycle.” As a matter of simple history, the American institution of slavery routinely resulted in the breaking up of black families. Fathers and mothers were separated from their children by being sold to new owners individually rather than as families. And black men and women were bred like animals to produce more slaves. The vicious cycle theory holds – accurately, I believe – that several generations of this practice created a dynamic that has been incredibly difficult to overcome. And had this dynamic been perpetuated against ANY racial group, the vicious cycle would be born out in that group for generations to follow. what I’m trying to say here is that one does not need to “blame the victim” to recognize the obvious increasing breakdown of the black family in America. Rather, Americans black and white can come together and acknowledge that a despicable institution – slavery – created a long-term disaster that has yet to heal. And Americans – black and white – need to be allowed to come together and focus on the healing of the black family. If whites continue to be labeled as “racist” every time they try to come to the table and express their views, there will be no coming together. The problem is – as I see it – that the moment we begin to focus on “family values,” liberals tend to become extremely fidgety. They do not want the focus to be on practices such as guilt-free sexual expression, the diminishing of the role of the father, rampant divorce on demand, teenage pregnancy, and out-of-wedlock births, because they have championed all of these things for the past 40 years. Rather, they want to focus on discrimination, race quotas, glass ceilings, and the like. But the figures I’ve provided clearly demonstrate that the former dwarfs the latter as the real cause of racial inequality. Dr. Martin Luther King, Jr. wanted blacks to be judged by the content of their character, but nothing shapes and strengthens the content of one’s character more than a solid family structure! Does it seem completely unreasonable to claim that if a baby is born to a poor, uneducated single mother on welfare, that that child will grow up twice as likely to be poor? Does it seem completely unreasonable to claim that such a child is far more likely to turn to drugs, gangs, and crime than a child born into a married family with a father? Why can’t we try to resolve these problems? In 19th century England there were slums that shocked the senses. Filthiness, criminality, prostitution, drunkenness, sloth, and every other imaginable vice had come to completely characterize entire sections of cities. William Booth – the man who founded the Salvation Army – came into these places and preached not only salvation, but individual responsibility. He told the inhabitants of these slums that no one would help them because no one even viewed them as human in their current condition, but that if they began to clean up their streets and start to take control of their own lives, that others would see their efforts and begin to provide the economic assistance that they needed. And history proves that William Booth was exactly right. It wasn’t that the wealthier class didn’t want to help people in the slums; rather it was that they had never seen these people begin to act responsibly and demonstrate that assistance would change anything. But when residents of the slums began to clean up their streets, willing help came from all directions. This ought to stand as a template for any social movement. Similarly, it isn’t that whites don’t want to put racism behind them, help blacks, or recognize that it is in their legitimate interest to do everything they can to reach out to fellow Americans. Martin Luther King, Jr. was successful because he led his people to stand up for themselves in a positive manner and begin to take individual responsibility. He literally shamed whites who had held blacks as being somehow inferior into changing their attitudes. Over in India Ghandi accomplished a similar success. Clearly, it can be done. It is only a matter of choosing the right approach and framing the discussion in a way that does not begin by attempting to frame any subsequent discussion in terms of bitterness and blame. But that is exactly what has been done, over and over again. What is racism? I would define it simply as holding negative views about a person or group of people on account of race. And it can’t be a despicable thing when whites hold racist views against blacks, but permissible when blacks hold racist views against whites. And any justification for such a double standard – such as the frankly self-serving notion that black racism isn’t racism because blacks aren’t the group in power – will do nothing but create bitterness and anger and continue the division. It’s not that whites don’t want white people who make despicable comments to be held accountable; it’s that they expect blacks to hold themselves to the same standard that they demand whites adhere to. If “black America” really wants “white America” to overcome its incipient racism, then they must work toward doing the same. It’s as simple as that. Does anyone seriously doubt for a moment that, were it discovered that Senator John McCain had attended a racist white church for twenty years, that Democrats en masse would be screaming for his resignation, much less the end to his presidential campaign? And Senator Barack Obama in the past couple years called for Senator Trent Lott’s resignation for his comments honoring 100 year old retiring Senator Strom Thurmond, just as he called for Don Imus’ firing over his line against the Rutgers women’s basketball team. Bad as their words were, can anyone say that they descended to a lower level than blaming white America for a genocidal campaign to murder blacks with the AIDS virus? Jesse Jackson and Al Sharpton have made numerous racially charged comments against whites and Jews in their pasts, but they to be allowed to serve as the judge and jury of selective black outrage. Frankly, anyone who believes that continuing the politics of the dual-standard will lead to racial healing is a fool. “White America” and “black America” need to arrive at a consensus on how to – in the words of our founders – “form a more perfect union.” And I would recommend we begin by focusing on issues in which both sides can come to common agreement. If “black America” demands that conservative whites either support a socialist-liberal redistributionist program or be labeled as racist, then nothing will happen except the continuation of the historic division and bitterness. Conservatives don’t believe in welfare as a general principle; they don’t want white people to live on welfare either. But if “black America” decides to truly begin to come to grips with the problem of the broken family structure in America, then “white America” – and particularly religious whites – will rally to their cause in huge numbers. Religious whites yearn to see a healthy black family structure; for that matter, they yearn to see a return to a healthy white family structure. All sides in the racial divide need to understand that we are all in this nation – and the dilemmas we face as a nation – together. That “Why don’t you just go back to Africa!” line is pointless and hurtful; no one is going anywhere. We are all Americans. And Americans of every skin pigmentation need to come together in common cause and work – and do I mean WORK – to resolve and overcome differences and begin to make progress toward a better and stronger United States of America by focusing on common causes and common agreement. Any naysaying aside, I do have a right to express my voice in the discussion toward racial harmony in America. My ancestors secured that right for me with their sacrifice and their blood.